A new Peppa Pig live show is opening in both Australia and the UK this month, and both have experienced incredibly high demand. Production company Fiery Angel in the UK has seen its biggest advance ticket sales to date for the new production Peppa Pig’s Big Splash. The show has just launched its UK nationwide run that will include a fourth consecutive West End Christmas season. Peppa Pig’s Big Splash will tour until October 2014, a run which makes it the longest running Peppa Pig stage show to date. 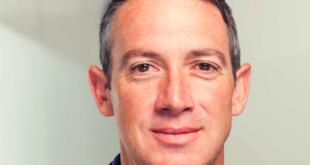 Andrew Carley, head of global licensing at Entertainment One said: “The appetite for Peppa Pig live entertainment continues to rise and the demand for tickets on both sides of the globe has been truly overwhelming. 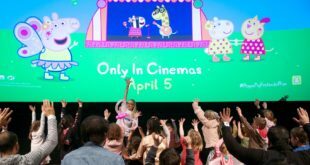 In Australian, Life Like Touring has added extra dates to its theatrical tour of Peppa Pig’s Treasure Hunt after tickets sell out within three days of going on sale. Shows in Hobart and Canberra have been added to the schedule to meet the consumer demand. Anton Berezin, producer at Life Like Touring Australia added: "We sold-out the entire first national tour of Peppa Pig Live! 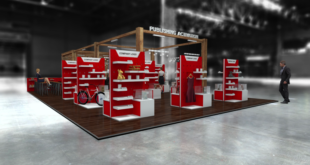 Treasure Hunt in a just a few days. It was an amazing response to a fantastic show. "In 20 years of producing family theatre, I’ve never seen such an overwhelming response from audiences. One of our ticketing partners compared the response to an on-sale day for Pink or Radiohead. "We are working with venues to secure new dates and shows all around Australia, and we are being petitioned by fans all over the country to bring Peppa Pig Live to their town. We have a lot of work ahead of us, and our team are working flat-out. 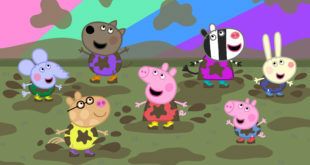 It’s Peppa-pandemonium out there."